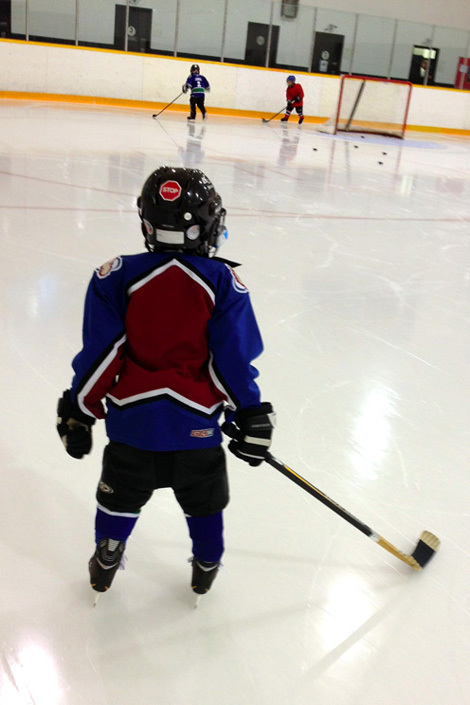 Ethan has started is hockey lessons, meaning I’ve officially become a hockey mom. Whao Hoo! I am proud to say that I am organized and multi-tasked enough that we are successful every school morning. However, it’s not enough to get him ready for hockey. I need an intensive weight-lifting training in order to put those damn gears on him.